An evil conglomerate has gotten together to take over the world, using children's toys. That's right. Children's toys. And you must stop them. With more children's toys. 2. Characters from anime/video games/books/etc in which various children's toys (card games, tops, etc.) or things that are entrusted to children (Pokemon) are used to take over the world. This includes but is not limited to: Pokemon, Metabots, Beyblade, Megaman NT Warrior, and Yu-Gi-Oh (normal or abridged). OCs from said universes are allowed. 3. This is meant to be ridiculous, so go nuts. 4. 3 character max (If three, one must be bad). One OC per person, please. 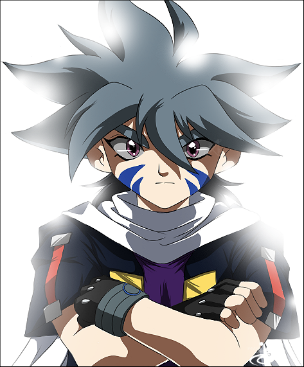 Short Bio: Your typical bad-boy character who hates the world, Kai is the leader of the Beyblade Sports Team BBA (yes, battle tops is a sport). He wields he bit beast Suzaku, a phoenix-type spirit trapped in his battle top. Go for it. Like I said, characters and OCs, so long as they're from a universe in which things we trust kids to play with can be used to take over the world. Sorry, I'm not interested in this one.